With only two days left for the assembly elections to be held in Chhattisgarh, Congress president Rahul Gandhi and BJP chief Amit Shah will both campaign in the state today. Election in Chhattisgarh: Campaigning for the first phase of Chhattisgarh polls will end tonight. With only two days left for the assembly elections to be held in Chhattisgarh, Congress president Rahul Gandhi and BJP chief Amit Shah will both campaign in the state today. While the Congress released its manifesto yesterday, the BJP released its election manifesto in Chhattisgarh's Raipur today. Election campaign for the first phase of Chhattisgarh polls will end tonight, 48 hours before the voting on November 12. Chhattisgarh polls will be held in two phases, November 12 and November 20. Campaigning for the first phase of state Assembly Elections concludes. Voting for 18 constituencies to be held on November 12. In his address to a public gathering in Chhattisgarh's Kondagaon, Rahul Gandhi promised that if voted to power, the Congress party will set up food processing plants in every district. 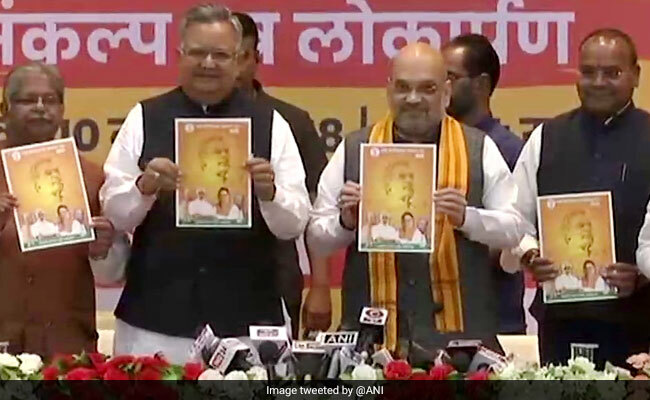 After releasing their election manifesto in Raipur today, BJP chief Amit Shah on his official Twitter handle urged party workers to work to secure over 65 seats in the Chhattisgarh polls under the guidance of PM Modi and Chief Minister Raman Singh. In an attempt to reach out to the farmers in Chhattisgarh, Rahul Gandhi said, "Today Punjab and Haryana are known for their farming.... I want Chhattisgarh and Madhya Pradesh also to become farming giants in five years... let people across the country know that their food comes from Chhattisgarh and Madhya Pradesh." Congress chief Rahul Gandhi addressed a public meeting in Chhattisgarh Kanker district where he is present for the party's election rally. "We have taken a firm decision to set up a food processing factory in every district.... Where you will get a good price for your produce... not just that, your children will find employment in those factories...." Mr Gandhi said. In Raipur, BJP chief Amit Shah has claimed that Chief Minister Raman Singh has been successful in containing Naxalism, adding that the CM Singh-led government has changed Chhattisgarh in the past 15 years. "Chhattisgarh used to be a backward state... but the BJP has worked hard to change that... today the state is a power hub, cement hub, aluminum hub, medical hub, etc... the state is progressing. It is on the road to success," he said. BJP chief Amit Shah has released the party's manifesto for Chhattisgarh polls in Raipur today. 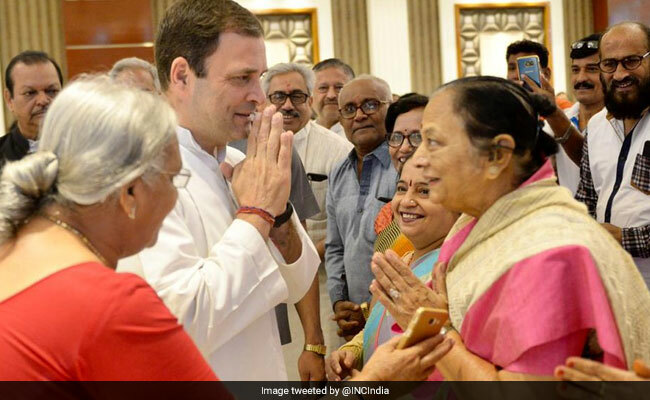 Rahul Gandhi met several stakeholder groups in Chhattisgarh, including Satnami Samaj, NGOs, civil society member and party holders, the official Twitter handle of Congress posted today. 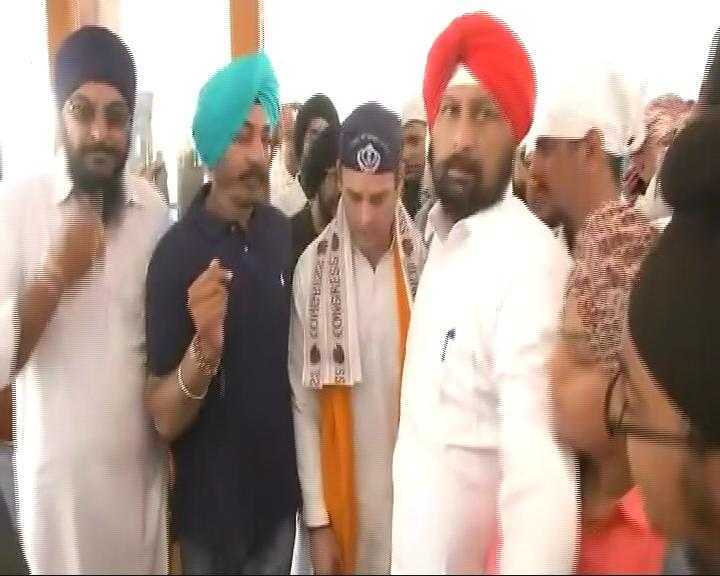 Congress chief Rahul Gandhi today visited a Gurudwara in Chhattisgarh's Rajnangaon.